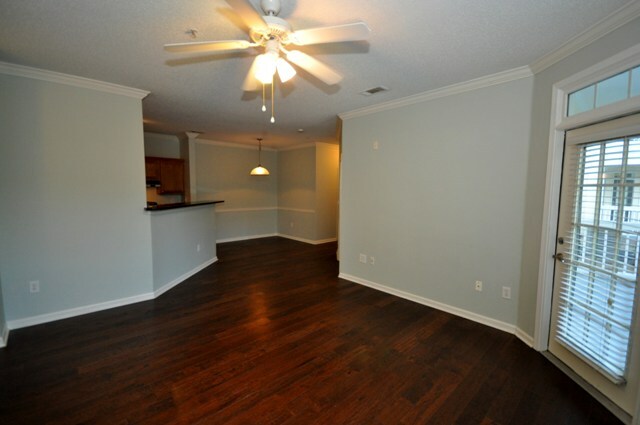 Located in West Ashley’s desirable condo neighborhood of The Concord, this two bedroom condo has many features that you are looking for including an updated interior and a convenient location. The ground floor unit, #1316, faces the back of the complex so your windows overlook the wooded area of the neighborhood for a more private view than afforded by other units. The HOA is also in the process of freshening the landscaping to include new grass and shrubbery which will enhance the aesthetic of the community. A private porch, off of the living room, is a great place to enjoy the landscaping and the warm Charleston weather. Other nice finishes include an open floor plan, hardwood flooring in the common areas, two spacious bedrooms (one with access to the back porch), an updated bathroom and a sleek kitchen with stainless steel appliances, granite counters and an adjacent dining area. There is also a detached one car garage that conveys with the home. The amenities in The Concord are also a large draw. A resort-style swimming pool has a separate hot tub, kid’s pool, grilling station and fire pit as well as numerous lounge chairs and dining tables. A clubhouse, gym facility, tennis courts and a movie room are other amenities included in the monthly regime fee. Another benefit of 45 Syacmore Ave #1316 is its prime location. Found in the West Ashley section of Charleston, the home is still in close proximity to downtown Charleston as well as area beaches such as Folly Beach. West Ashley has its own distinct personality and charm though and one of its most popular areas is Avondale. Just a half mile from the home, this trendy district is well within walking or biking distance. Casual eateries such as Mellow Mushroom and The Roost line street along with bars, a wine shop, a few boutiques and even a community yoga studio. For those who enjoy being outdoors, the West Ashley Greenway is located nearby as well as a soccer field and dog park at the entrance to the neighborhood. 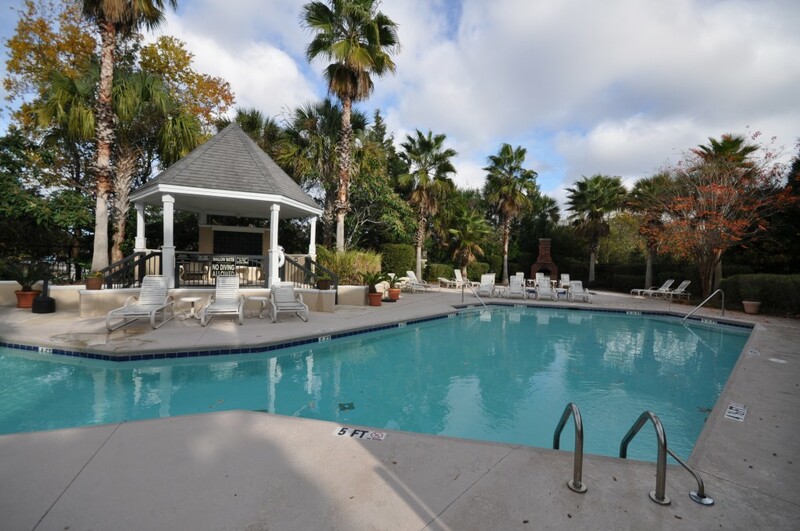 To learn more about this and other Charleston condos for sale, click here!